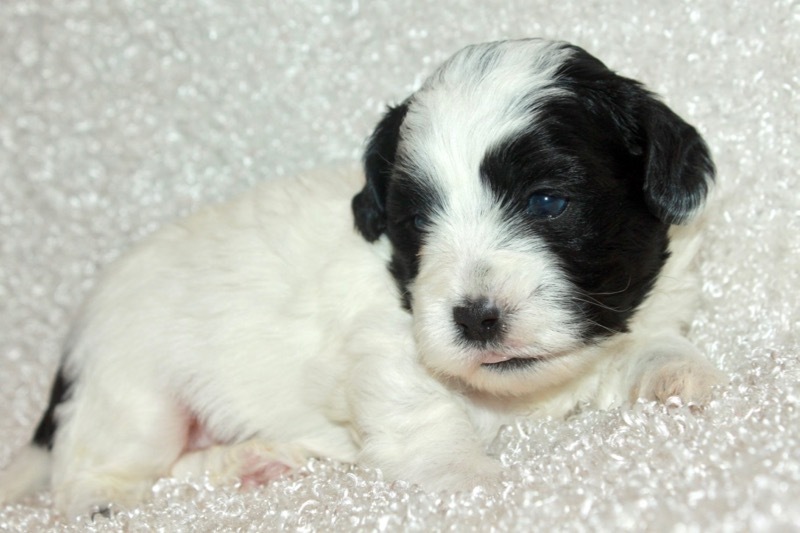 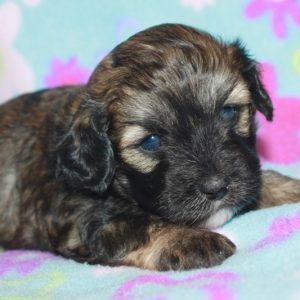 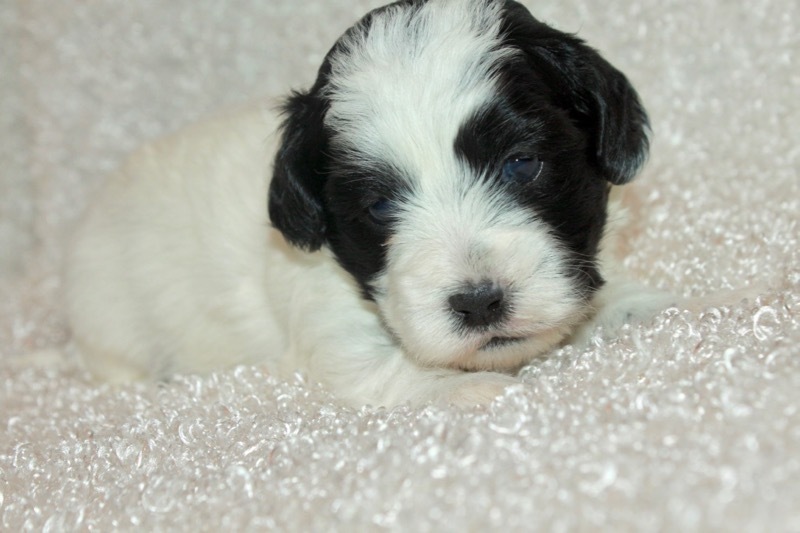 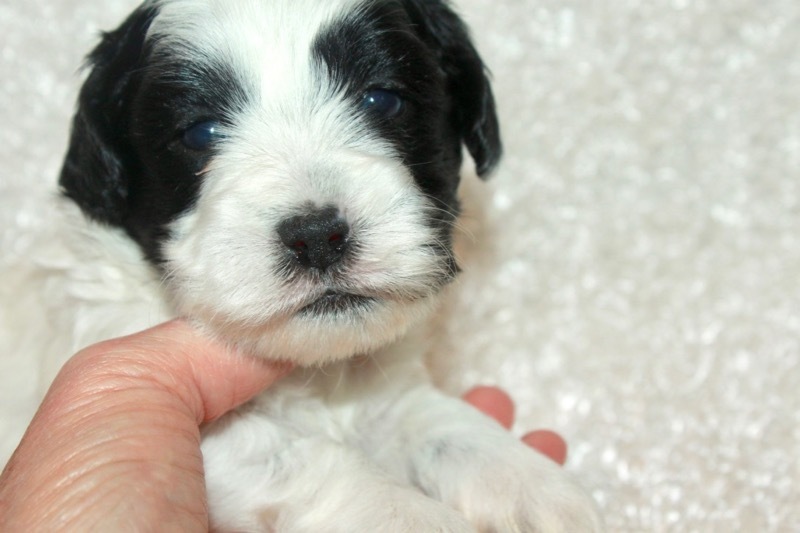 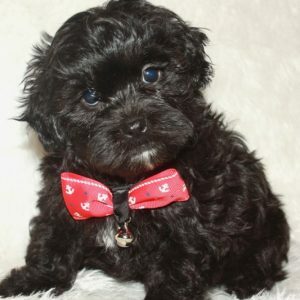 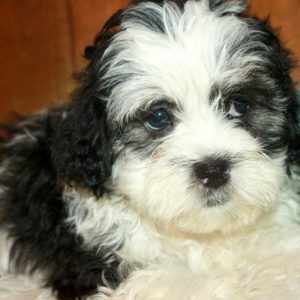 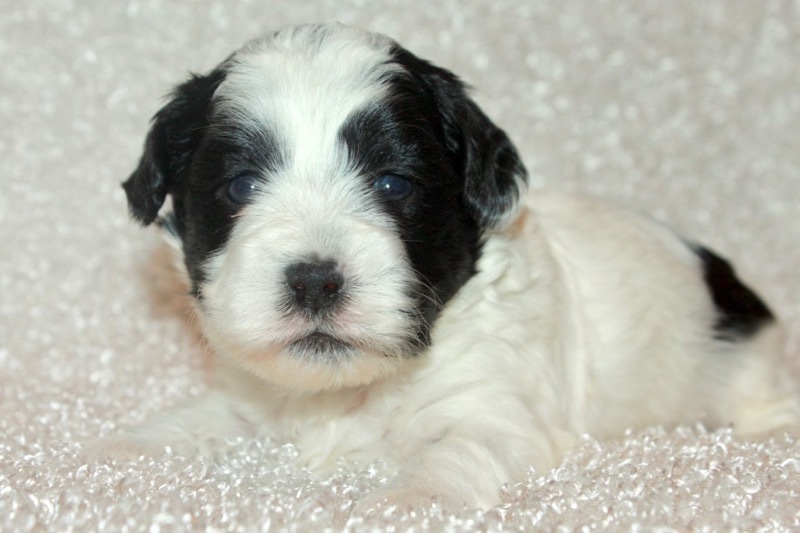 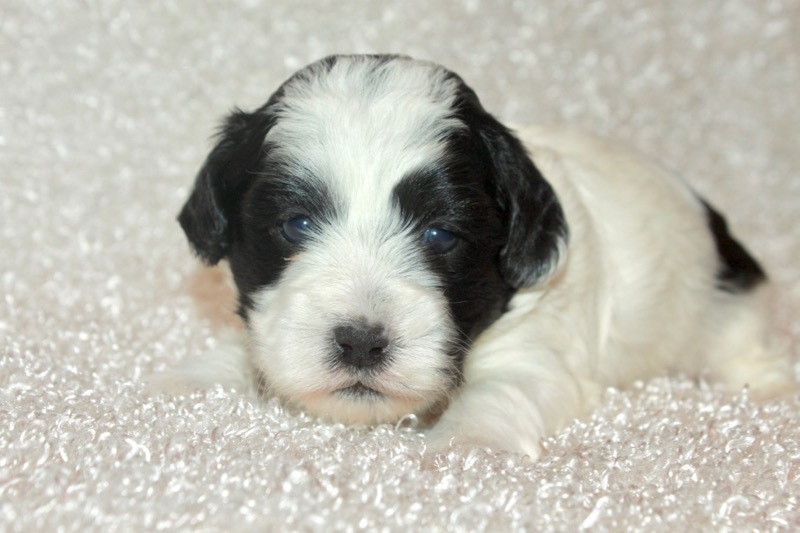 Finn is a beautiful little Shih Poo! 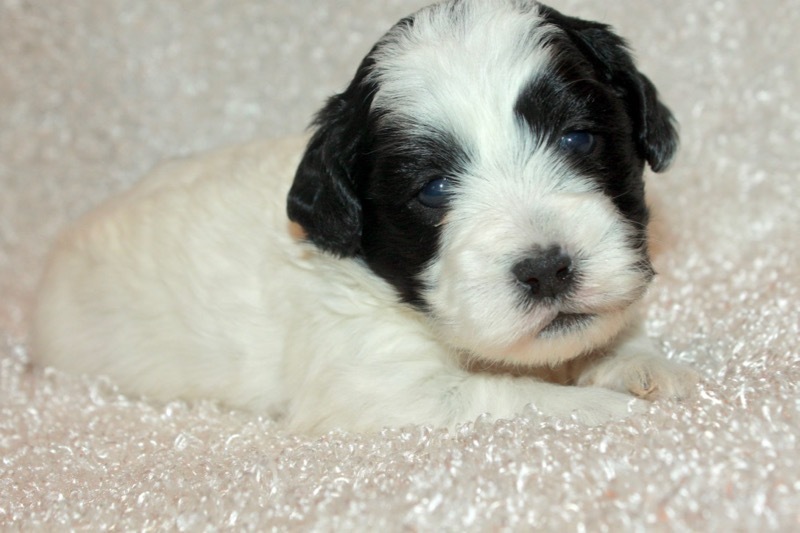 He is mostly white with black eyes and ears. 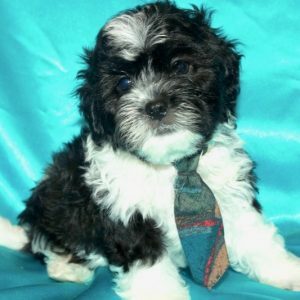 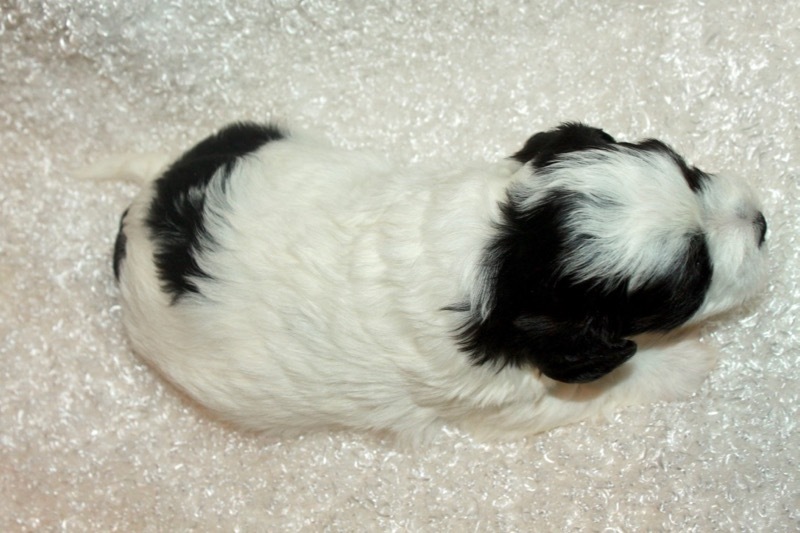 His mom is Millie our registered Shih Tzu and his dad is Howie our registered Miniature Poodle. 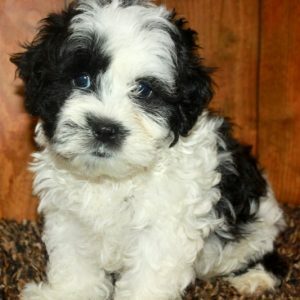 I expect Finn to weigh 8-10 lbs when he is full grown. 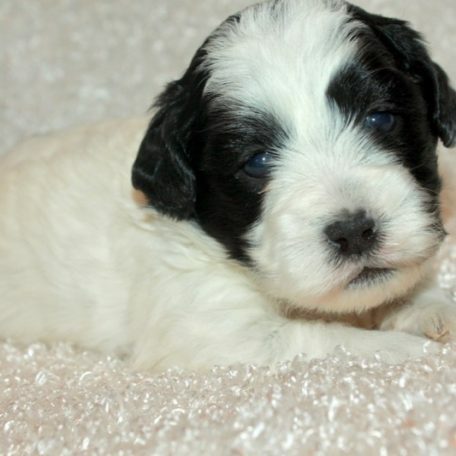 He will be ready to go around May 10, he can be reserved now.